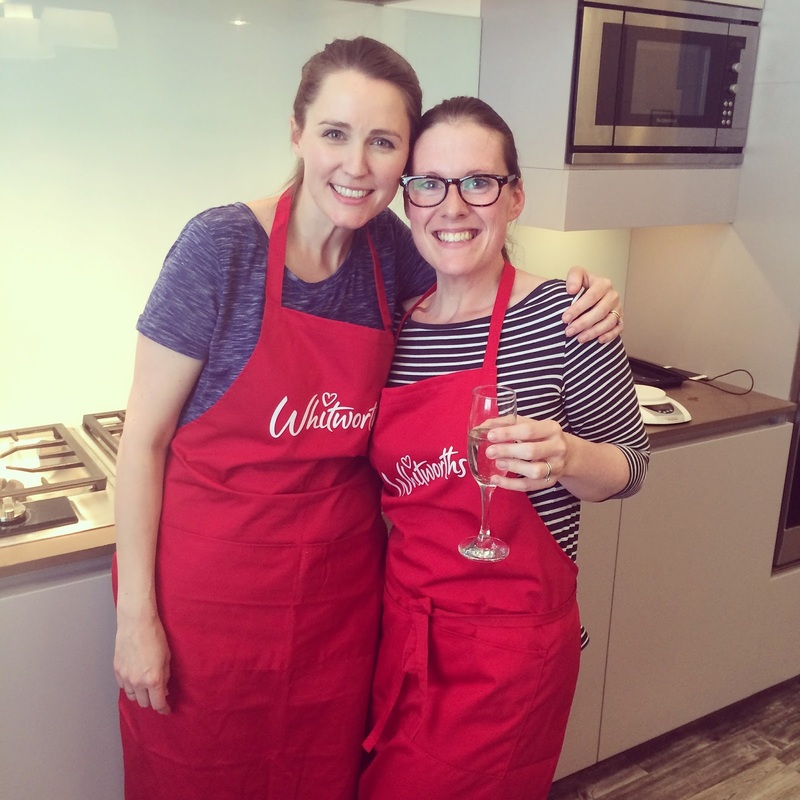 Last Thursday I headed off to the Big Smoke to attend a Blogger's baking event with the wonderful British dried fruit and nut brand, Whitworths. 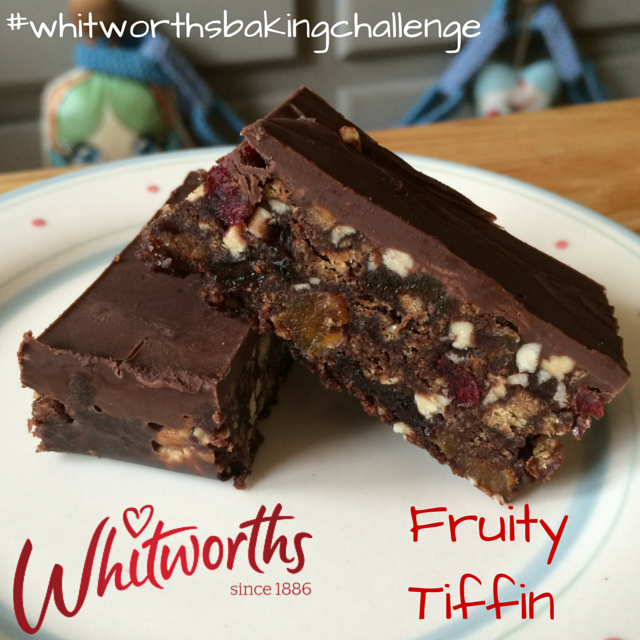 I've been a loyal customer to the Whitworths brand for many years: my nan always swore that using Whitworths' fruits made the best fruit cake, and I have fond memories of stealing handfuls of raisins from her Whitworths stash as a small child. 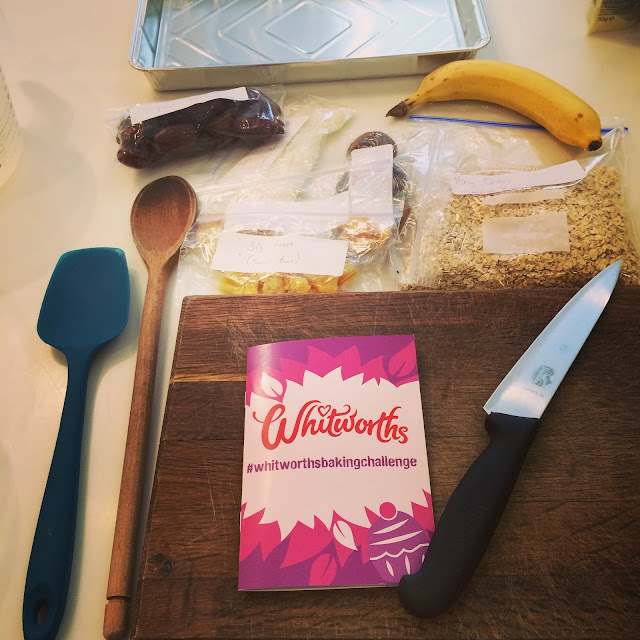 Now, my own pantry is filled with their fruits and nuts both for baking and healthy snacking purposes, so I was honoured to be asked to join them for the day at their fab baking event, and to become one of their #whitworthsbakingchallenge bloggers. 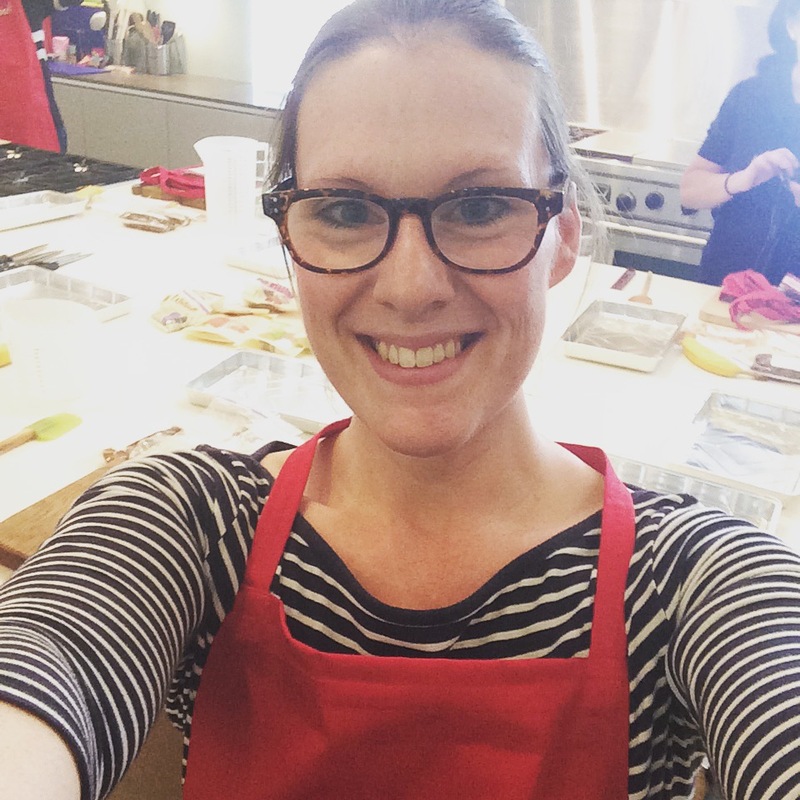 The event was hosted by the beautiful and super-talented baker extraordinaire Holly Bell (who writes at Recipes from a Normal Mum). 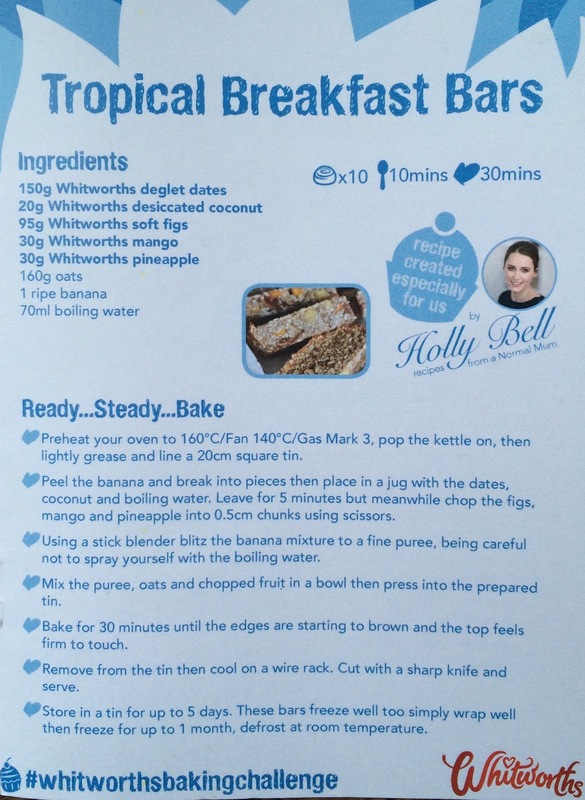 You might remember Holly as a finalist on the second series of The Great British Bake Off back in 2011? You would also recognise her from her baking and recipe sections on ITV's This Morning, as well as loads of varied TV, radio and baking show appearances. 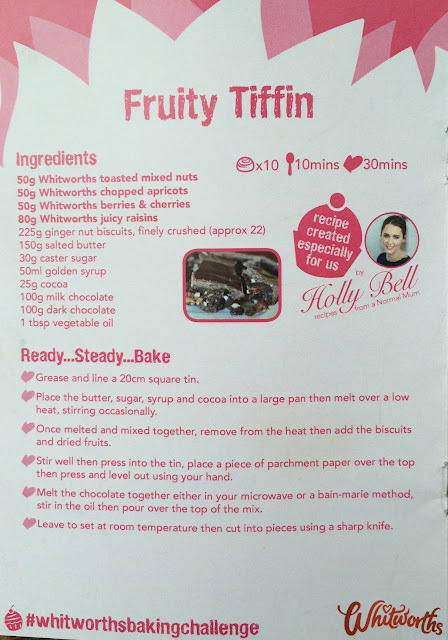 I've been a huge fan of Holly's since she first graced our screens back in 2011, and I was super excited to spend the day baking with her! 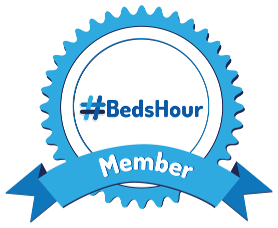 Joining me for the day were lovely fellow food bloggers Mel (Le Coin De Mel), Salman Dean, Phil (Baking Fanatic), Sophie (A Story of A Girl), Emilie (Someone In The Corner), May (Eat Cook Explore), Kerri-Anne (Gingerlillytea), and Poppy (Poppy D). 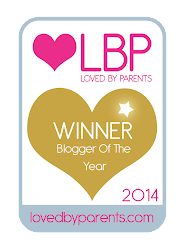 Please check out their fabulous blogs if you haven't already! 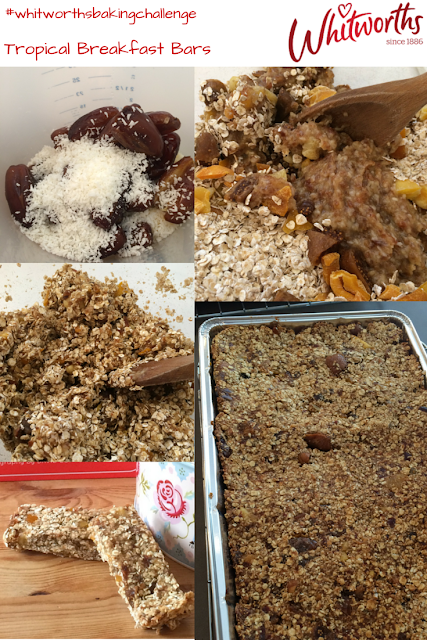 The day comprised of making two recipes, both of which have been created by Holly for Whitworths - the first recipe was a clean-eating inspired breakfast bar, using loads of fab Whitworths dried fruits and desiccated coconut. We watched Holly make them in her demonstration, then set to work baking them for ourselves. 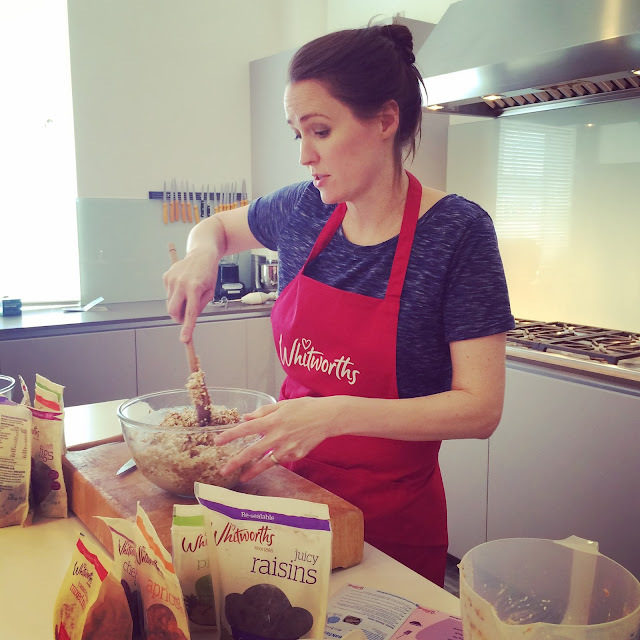 The bars are full of natural sweetness and contain no refined sugar making them a great breakfast replacement and mean that they are the perfect snack for children (Holly recommended them as a brilliant finger food for weaning age!) They keep in a tin for up to five days (if they last that long), or freeze perfectly once cut - just remove them from the freezer about 30 minutes before you want to eat them. I adorned my Whitworths apron and got stuck in to our first baking challenge: Tropical Breakfast Bars. I loved the fact that this recipe was so clean and full of goodness: nothing makes me happier than a guilt-free bake, especially one that tastes so scrumptious. Here's the recipe for those of you who'd like to make some at home - if you do why not tweet Whitworths a photo of your bake with the hashtag #whitworthsbakingchallenge I'm sure they'd love to see your snaps! While the bars baked we all shared a gorgeous lunch and enjoyed chatting to each other and comparing notes about baking, blogging and life in general. It was a pleasure to spend most of the day nattering to the lovely Holly, whom I have so much in common with. 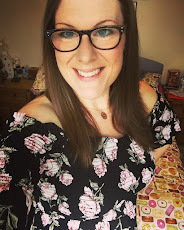 Holly also achieved a huge weight loss of a massive five stone recently, and we found we are very much on the same page about so many things: weight loss, health, baking, and parenting (as we are also both mums to boy(s))...we probably could have nattered long into the night...! Me and the lovely Holly Bell: drinking prosecco and putting the world to rights! A delicious lunch shared with a delicious bunch! After lunch we set about making our second 'bake' of the day (no baking actually needed for this one, just melting and mixing! 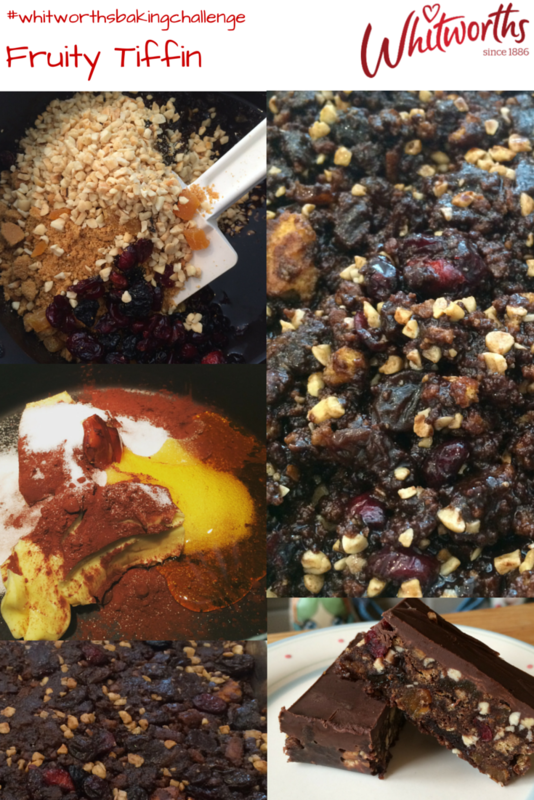 )...a batch of Holly's Fruity Tiffin. Containing a mixture of toasted mixed nuts, chopped apricots, raisins, and berries & cherries from the Whitworths ranges, as well as smashed up ginger nut biscuits, and all the Tiffin essentials like butter, golden syrup and chocolate, these little chocolatey squares of heaven are the perfect antidote to a dreary day. Another lovely easy bake and perfectly child-friendly, these would be a perfect activity to keep the kids occupied during the summer holidays! Once again, these keep well wrapped and stored in the fridge for a few days, or can also be frozen. The Fruity Tiffin was left to set in the fridge while we enjoyed another hour or so of relaxed chatter, prosecco drinking, fruit nibbling, and goodie bag receiving! We were each gifted a copy of Holly's own cookery book 'Recipes from a Normal Mum', and she kindly signed my copy for me! 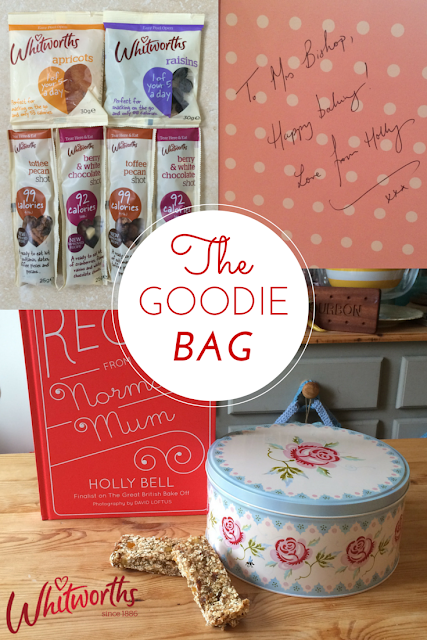 Our lovely goodie bags also contained a rather wonderful Emma Bridgewater cake tin, as well as a lovely selection of the Whitworths snacking range, and of course our Whitworths aprons and our bakes for the day! 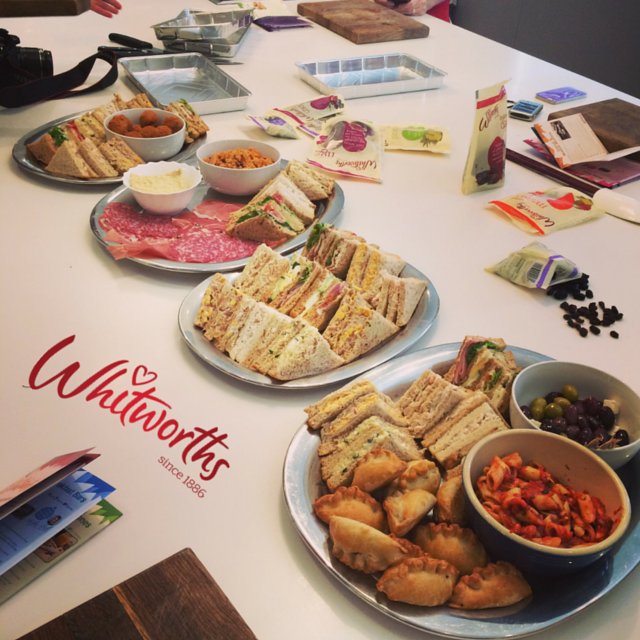 A huge amount of thanks goes to Whitworths and Holly Bell for putting on such an awesome, relaxed, informative, and most of all super-fun day! I'm so excited to be working alongside Holly and this fab brand on the #whitworthsbakingchallenge where, over the next month I'll be sharing some more awesome recipes with you using fruits and nuts from their delicious ranges. Shall be giving these a go!